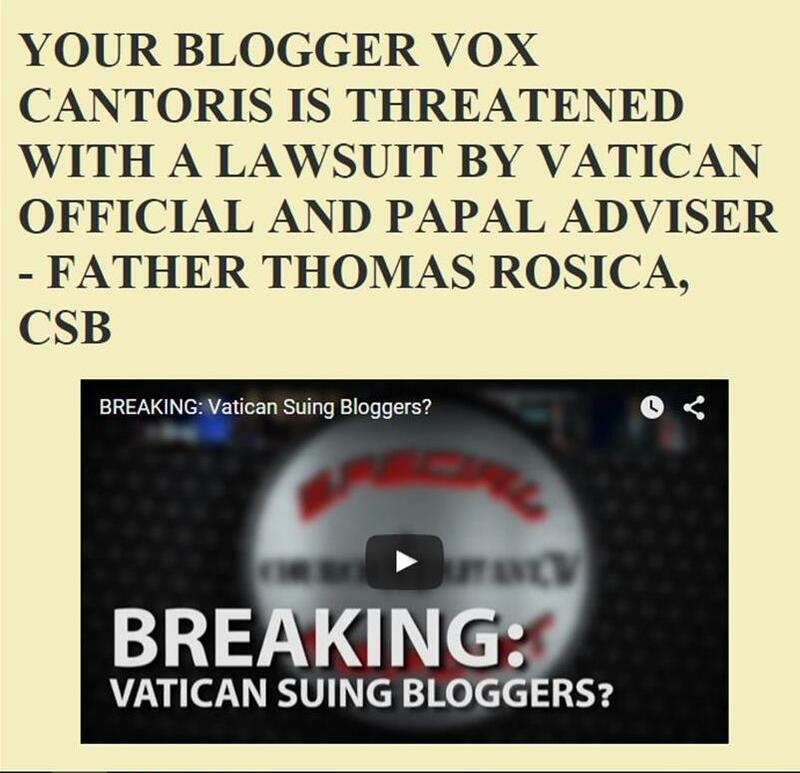 Vox Cantoris: Bishop Patrick Zubin of Amarillo, it is you, who should be investigated, not Father Pavone! Bishop Patrick Zubin of Amarillo, it is you, who should be investigated, not Father Pavone! Bishop Zubin of Amarillo, has announced that he has launched and "investigation," into the use of the body of a baby post-funeral, pre-burial, by Father Frank Pavone to show the crime of abortion before people voted. It is Bishop Zubin and every other bishop of the United States (and Canada) who should be investigated for not ordering that every priest preach as the Rector in Arizona did a few weeks ago on the matter. That, is Bishop Zubin's crime and the crime of his brother bishops across North America. He, and they, may wish to ponder that a little before too much longer. I want to say - you will now them by what they are scandalized by. I see no wrong with what Father Pavone did. When bodies of our dead are brought to churches and displayed in open caskets, we call it tradition. I am scandalized by Bergoglio's praise for Italy's Emma Bonino, who takes pride in thousands or hundreds of thousands of abortions she performed. I am scandalized by Bergoglio meeting the proud supporter of the so called partial birth abortion, Obama, and shaking his hand, and of supporting another supporter, Hillary Clinton, against Trump. Bergoglio met with the bicycle Bonino on election day in USA. Earlier he said she was "among the great ones of today's Italy". This fact alone, calling this monster a great one, shows us, who Bergoglio really is - a devoted servant of Satan. I also want to add that increasingly members of Catholic clergy seem to shun the image of our Lord hanging on the cross. Bergoglio even replaced the cross with a baby in his one world religion video. A body on the altar symbolizing millions of murdered babies whom not even the pope of Rome will defend (for he is busy encountering and admiring the murderess) does not offend my sensibilities, just like the body of our Lord on the cross does not. These clergy are offended by the victims of sin because they are accompanying and celebrating sin. This is why some priests may in desperation want to call attention to this evil. I thank them for it from the bottom of my troubled heart. Dorota - There are places and things reserved for God alone. If this is a consecrated altar, it is consecrated to offer the sacrifice of the Body and Blood of Our Lord Jesus Christ and nothing else. The fact that the Bishop of Rome has put things like beach balls on altars doesn't negate the fact that other objects or people shouldn't be placed on altars consecrated for the Holy Sacrifice. God is due our sacrifice and worship, the dead baby is not. There is no symbolism no matter how well-meaning that makes putting a dead baby on a consecrated altar the correct thing to do. I would go so far as to say it is blasphemous. Bishop Patrick Zubin of Amarillo you are on a loser here. The public are well used to looking at dead bodies strewn across our tv screen at every news bulletin. They comprise babies, children, women & men of the ME brutally murdered by IS which the Clinton Foundation has been exposed as financially supporting. We are all sorely frustrated by the continuing silence from our pope & hierarchy (including yourself) for NOT raising your collective voice in calling what has been happening there & now in Europe what it is - GENOCIDE. Genocide, that is, against Christians but then we have a pope who does not put Christians first as he believes that we are the same as the unbaptised & those who, though baptised, ordained & consecrated, turn away from Christ preferring the money of Soros (Schwartz), that is why he prefers Progressive Bishops/Cardinals & priests and demotes those who are prepared to give strong leadership to Christ's faithful sheep. I hope you receive loads of emails & letters pointing out your own failings in falling silent about Planned Parenthood which directly contradicts Humane Vitae (if you can bring yourself to remembering as far back as 1968) & is funded by Catholics & Christian taxpayers money & against their wishes, who in turn financially supported one of the candidates in your Presidential Election - the one who promotes Abortion up to birth. Great example from a Bishop! The CC is imploding because of the Smoke of Satan that has entered into it since VII. Soon there will be no work for you & your colleagues - or haven't you thought about that. 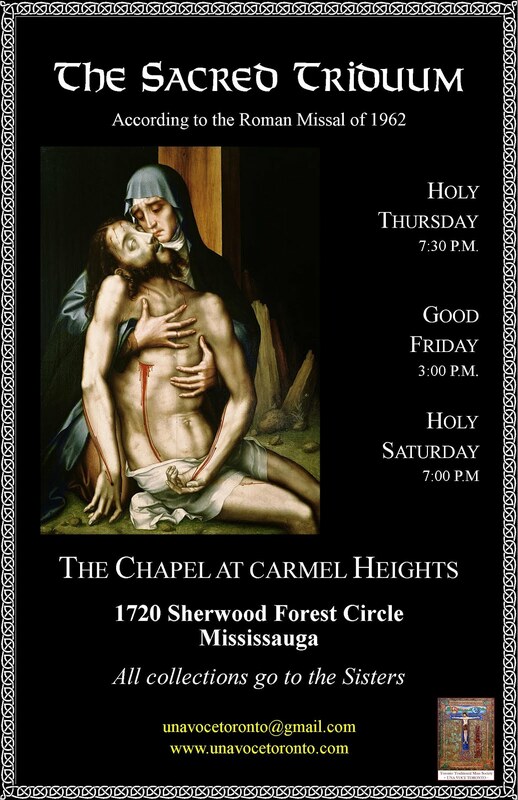 No Holy Mass, no Sacraments, no Sin, no Hell & no GOD. It naturally follows that the NWO's LGBT, Abortion & Euthanasia Agendas are all OK. Sodomite, Masonic Marxist Cardinals, Bishops, priests, Pope(?) are in order, yet you take it on yourself to judge the action of one priest who decided he had enough of Abortion & demonstrated to the electorate just what that word means. Do we not each put our whole selves on the altar at each Mass? Is this not what the bread and wine signify? Are not the relics of martyrs embedded in consecrated altars? These babies are the modern-day holy innocents whom the Church considers martyrs. Your horror at what Father Pavone did shows just how distorted your thinking is. His statement could not have been more forceful, and the cowardly bishop is feeling the burn. Vox is dead on in this article. Thanks, Vox. I see the body of the dead baby as a sacrifice to the enemy of God. Jesus said that whatever we did to the least of us, we did it to Him. I see this tortured baby's body on the altar as the same thing as our Lord's tortured body on the altar. The little body was not put there as an object of veneration (It is Bergoglio who venerates humanity and can't stop himself from kissing the feet of grave sinners and worshipping the poor). It was put there in the same way we put the cross with Jesus Christ hanging on it on the altar. Did you ever look at the cross around Bergoglio's neck? Jesus is not hanging on that cross, but is standing with His arms crossed on His chest - to symbolize a pagan deity. Are we not told by Bergoglio to see Jesus in each human being? That devious servant of humanity (humanism equals Satanism) in papal robes does not see Jesus in butchered babies. Has he not said that we talk too much about abortion=butchered babies? Instead he wants to save the earth and redistribute wealth. That will allegedly bring peace and unity of all, which is completely contradictory to everything our Lord has said. No worse than the cardboard box I once saw on the table, er I mean altar. Scorched by Ana Milan and Dorota. I can't say it any better. These false "bishops" are a plague to the people of God. How long must we put up with them, O Lord. I do not know if it was appropriate for Father Pavone to put the baby on the altar. That is not for me to decide, but the poor baby represents a true genocide, since more babies have died from abortion than due to cancer, heart disease, and accidents combined. That our pope and Bishops are mostly silent on that topic, yet find plenty of energy to talk about why we ought to open our borders to Muslim combatants, despite historical and practical warning signs everywhere, is madness. We are sick of these so-called bishops. Who do they lead? Our priests were so clearly stifled by our weak-kneed bishop, they hardly mentioned the election at all. In our church, we give the military a passing mention, but NEVER our police officers, who are being picked off with horrible regularity. WHY not mention our police officers? Why not add a prayer for them, but add one to "end racial hatred and bigotry"? Because too many of our bishops are card carrying leftover 60's wannabees, and still think we are fighting the KKK on the streets of Selma. Why to pray for our officers might offend some BLM member in the pew! This kind of thing has become disgustingly obvious, the political machinations of worldly men. Speaking for ourselves, we are completely sick of it. There are 40 to 50 million abortions carried out worldwide every year ,a slaughter of unprecedented proportions ,a Holocaust consider that some hospitals were using the bodies of aborted infants as fuel for their heating systems.They have stripped humans of the sanctity of life,they are now focusing on the aged and terminally ill.They have reduced the Human race to a herd,that can be culled.We are living through the new dark age,and it's worse than anything that went before,because it's not just a country or a continent,its global. Catholic snowflakes, bound together in a carefully constructed but false church of nice. Insular and unaware, cowardly, they shut their eyes in horror and helplessness before a God on a cross ... or a slain child! These of position and prominence are Catholic Babbitts. Unlike our Blessed Mother, they will never be found last at the cross. They flee long before that distasteful and vulgar event.